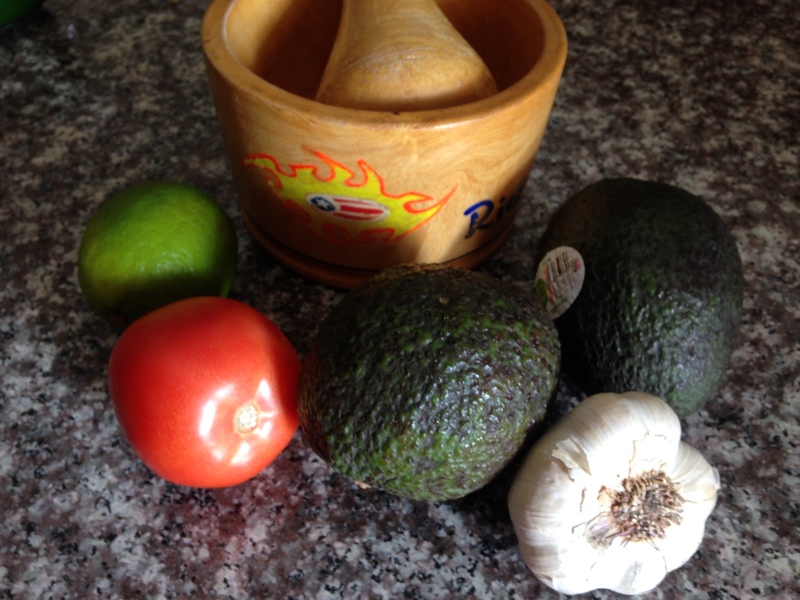 What happens when my latin side makes an appearance in the kitchen? 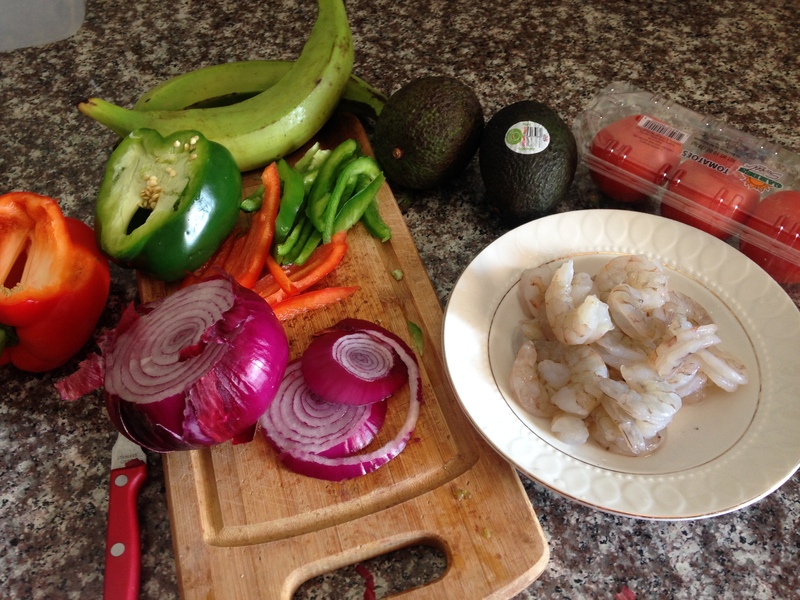 Avocado shrimp bites! This amazing appetizer combines some of my favorite ingredients into an explosion of flavor with every bite. 1. Peel the plantains and cut into 1 inch [2.5 cm] thick slices. 2. In a deep frying pan heat the oil and fry the plantains till golden. 3. 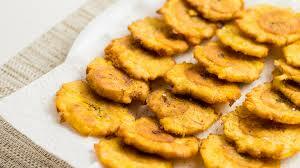 Flatten the plantains using a tostonera to about 1⁄4″ [0.5 cm]. 4. 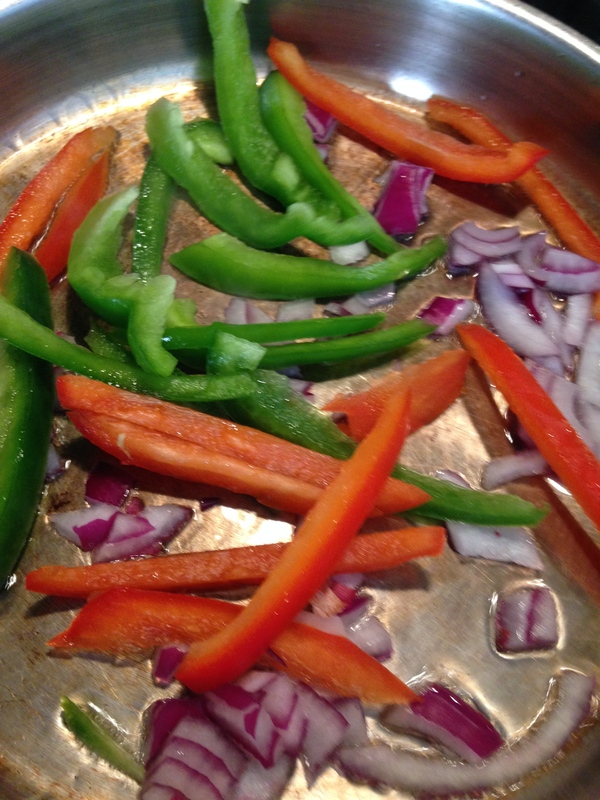 Fry the plantains again until golden yellow on both sides. 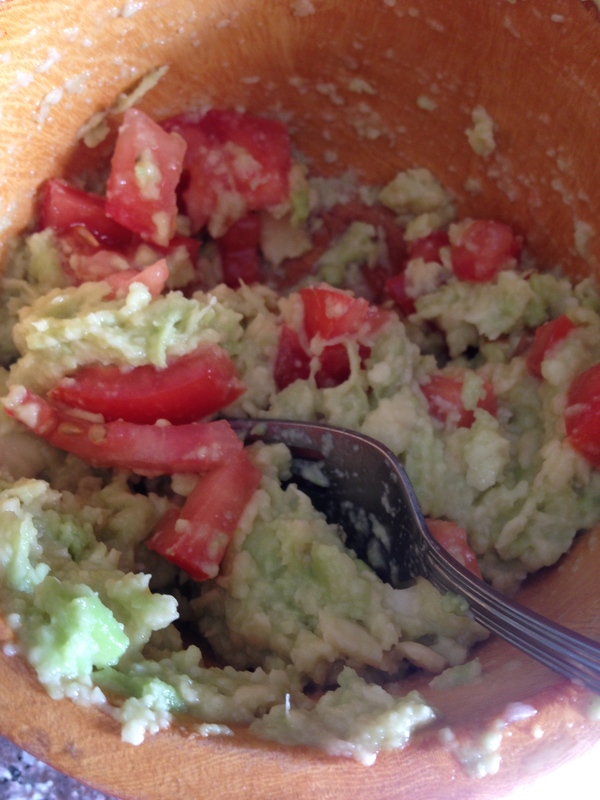 In small bowl mash avocado, garlic cloves , lime juice dash of salt and pepper. 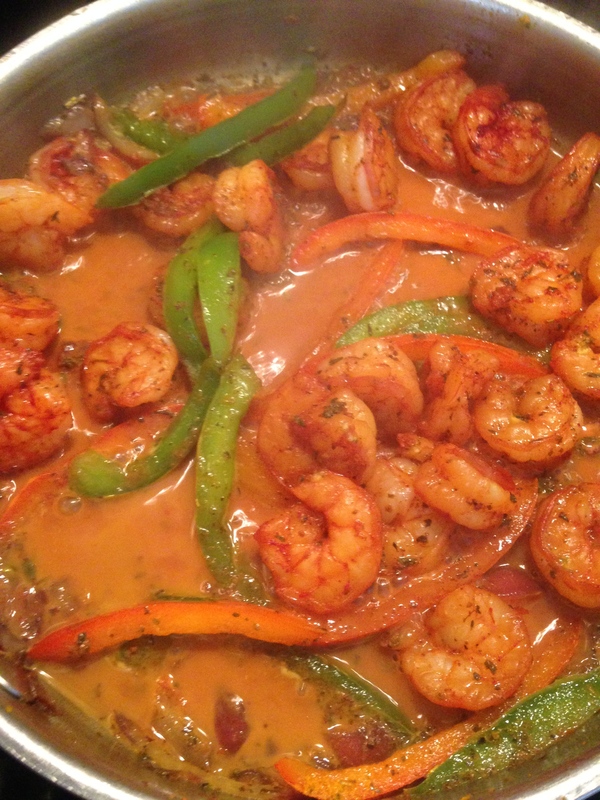 Stir in tomatoes. 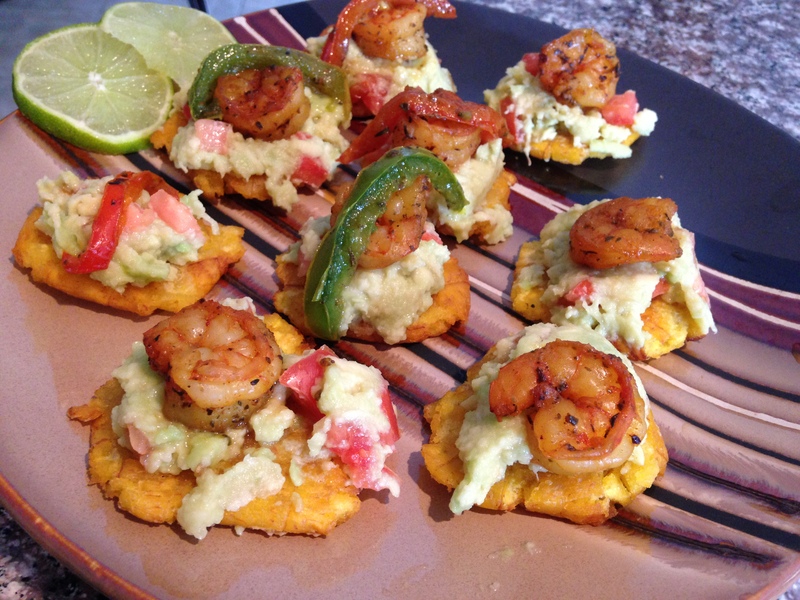 Layer plantain, mashed avocado and shrimp on plate and enjoy!! !